At a recent CPCS forum at the University of Kent, the book Parenting out of control by Margaret Nelson was discussed. This blog post serves as a review of the book, thinking about how it contributes to our understanding of the way parenting is changing in a ‘digital future’. As readers of this blog are probably already aware, Nelson is far from alone in her observation that expectations around, and experiences of, how we raise our children have shifted in fairly fundamental ways over the last half-century (see, for example, this blog’s recent posts on ‘media moms and digital dads’ or ‘10 tips of digital citizens’ parents‘). 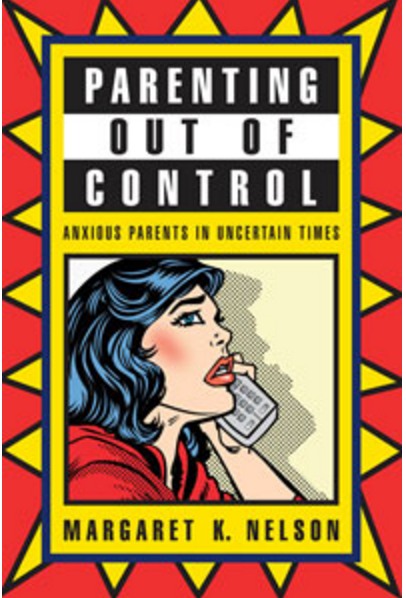 Academics, journalists and parenting experts tell us that as well as being more attentive and anxious, today’s mothers and fathers are not only ‘intensive’ and ‘paranoid’, they are, to use Nelson’s term, ‘out of control’ (for more on this, see the resources listed here). However, in analysing the goals and aspirations parents have for their children as well as the strategies they use to reach them, Nelson discovers fundamental differences among American parents that expose class fault lines – between what she calls the ‘professional middle class’ and the ‘middle and working classes’. For the professional middle-class parents she worked with – who demonstrated an ‘intensive’ parenting style – she sees a desire to extend and protect childhood. For the working-class parents, by contrast, the impetus to do this was constrained by material, financial necessity that children earn their own living as quickly as possible. By contrast, in ‘the working class and middle class…parenting styles draw on concerns about concrete dangers, an awareness of youthful indiscretions, and a desire to see children mature sooner, rather than later.’ Rather than encouraging children to take their time in, for example, choosing their careers whereby material and emotional support will be required from parents for longer, less privileged parents have an interest in hurrying up this process. In short, material necessity has a direct impact on one’s philosophical orientation towards parenting. Nelson particularly highlights the way in which technologies themselves (and specific brands thereof) now characterise the experience of contemporary parenthood (as has been argued on this blog, ‘parents are now digital natives, too‘, with many ‘reasons to love parenting in the digital age‘). In their wish to be ever-present, constantly attuned parents (and who would risk the accusation of being otherwise, when so much is at stake? 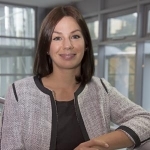 ), many parents have embraced technologies such as baby monitors and mobile phones to adopt a state of ‘hyper-vigilance’, often extending long past their children’s infancy into adulthood . The irony is, that not only are these technologies financially expensive, but they do little to alleviate the anxiety they promise to. If anything, they extend and intensify it. Interestingly, though, Nelson’s research shows that while professional middle-class parents are more likely to demonstrate what she calls ‘parenting out of control’, those in working/middle-class homes parent ‘within limits’ – and technology plays a crucial role in this. For example, rather than lurking around and checking up on what a teenager is doing online, a working-class parent will install software that simply blocks access to unwanted sites. So less elite parents rely on ‘limits’ rather than ‘subtle control’. For the same reason, elite parents are less keen on things like child locator technologies (which rely on GPS tracking) than their working-class counterparts, preferring to rely on their own surveillance. In short, the idea is that if you’re relying on technology to ‘locate’ your child, you are probably doing something wrong. Yet again, we see how this ups the ante as part of a more general ‘intensification’ of parenting. Looking forward, Nelson predicts that the reluctance on the part of professional middle-class parents to use monitoring technologies like the child locator will disappear and be reformulated into a narrative of attentive parenting. In spite of some push back from groups such as ‘free range kids’, she sees that ‘hovering’ is here to stay because it has its roots in parental perceptions of the burden for keeping children safe and secure, as well as the consequences of educational and occupational failure more widely. In sum, unless we start seeing children’s outcomes as a community responsibility, it is likely that control – and the technologies to enable that – is here to stay.